Here's a simple twist on your morning bagel! 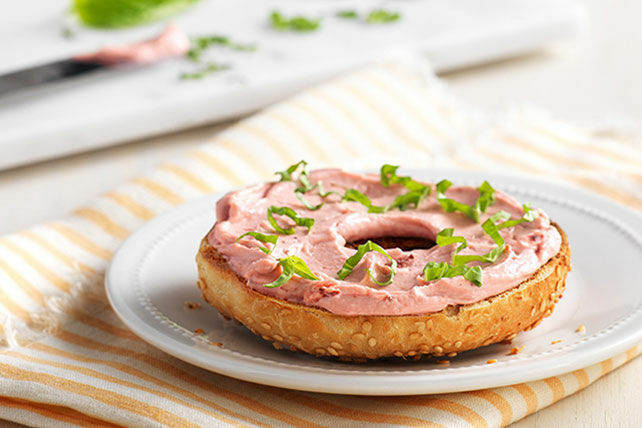 Fresh basil tops PHILADELPHIA Strawberry Cream Cheese on a toasted sesame bagel. Spread bagel with cream cheese product. Prepare using a toasted plain bagel half.